I want to do some modifications to a template of WooCommerce, but I'm rather ZERO in PHP, so that is why I'm asking some guidance so I could perform my small modifications, which I'm sure are not too difficult. I do know the name of the field, but I don't know how to integrate it here, the field is created with Checkout Field Editor. For example the name could be : billing_extra_field. I can add here a new row, but how do I access this field? I know this are probably very simple but I have no idea. 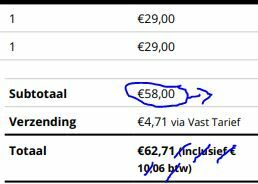 2) So on the invoice you can see what I have, this is more or less ok, BUT I want to change a little bit. I suppose this is also achievable because WordPress has all this info, you can choose to show it, but I only want to do it in this template. Browse other questions tagged php woocommerce templates or ask your own question.